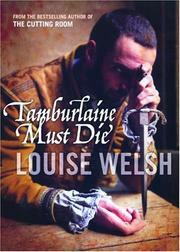 The last feverish week in the life of Christopher Marlowe, dramatist, informant and spy. Fresh from the bed of his patron, Lord Thomas Walsingham, the storied playwright is summoned before the Queen’s Privy Council and charged with heresy, atheism and libel. There’s nothing unusual about the first two charges. Marlowe’s old friend Thomas Kyd, caught with a heretical pamphlet, has sought to save himself by claiming that he copied it for his former housemate, and the atheism of Marlowe’s play Tamburlaine is a canard throughout London. It’s the libel charge that’s most menacing. Someone calling himself Tamburlaine has posted threatening verses on the door of a Dutch church, and although Marlowe points out that “if I were to write a libel I would not make it so illiterate,” his accusers are unimpressed because, in the severe political economy of 1593, somebody has to take the blame. Indeed, Wells (The Cutting Room, 2003) presents her dark Elizabethan gallery of rogues and poets, who turn desperately on one another to save themselves from death and worse torments, as mirrors of today. “We live in desperate times, where loyalty is all,” observes Marlowe as he embarks on his quest to unmask the blustering Tamburlaine before his own life is forfeit. As the clock ticks down, Marlowe confronts his oldest friend Thomas Blaize, a player with literary aspirations; an old bookseller, Blind Grizzle; an unnamed power who offers to protect him from the charges if he will inform against Sir Walter Raleigh; and an emissary from Raleigh himself, who points out the mortal risk of accusing the Queen’s sometime favorite. Despite the catchy title, the thin plot will disappoint readers looking for the generic pleasures of the historical mystery. What they’ll find instead is a pitiless rendering of an Elizabethan celebrity culture in which each celebrity survives by unceasingly attacking all the others.